Sell Margaritas or Daiquiris and make BIG profits. Increase your profits by selling frozen drinks at your bar or restaurant. We have commercial grade single dispensing and double dispensing machines available for lease. These are high output machines that are refillable without down time. We deliver and set up the machine for you and show you how to use it. 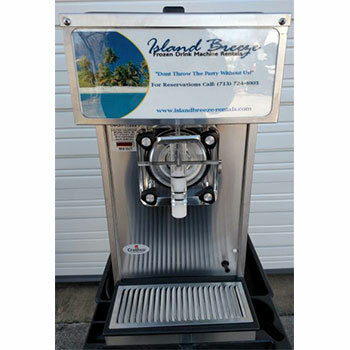 Visit our Frozen Drink Machines For Sale page for machine specifications. We also sell frozen drink mixes for our machines. Each mix we sell produces 4-5 gallons. Buy a case of our mix and save money. ~ No Maintenance Costs - You don't have to worry about expensive repair bills and downtime for a broken machine. 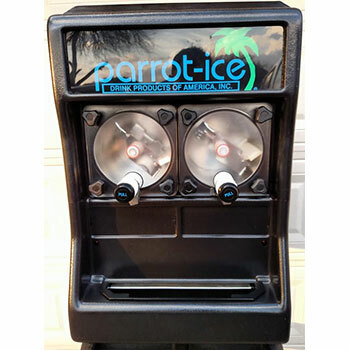 We exchange any non working frozen drink machine within 2 business days of notification. ~ Preserve Capital - Make small monthly payments versus paying outright for a large purchase plus interest. ~ No Commitment Risk - Try a frozen drink machine in your business with a small investment. As little as $5.67 a day for a single dispensing machine. ~ Easy Approval - No credit application. If you only sell 30 gallons of frozen drinks in one month, you can gross $1,920. Many restaurants and bars can sell more than this. The breakdown: 30 gallons is 3,840 ounces and if you sell 10 ounce glasses at $5.00 each, this equals $1,920. Your costs to factor in are the lease, liquor, and mixes. Lease a single at $170, liquor at $245, case of mixes at $64.95. With 30 gallons in sales each month, your approximate profit would be $1,440.